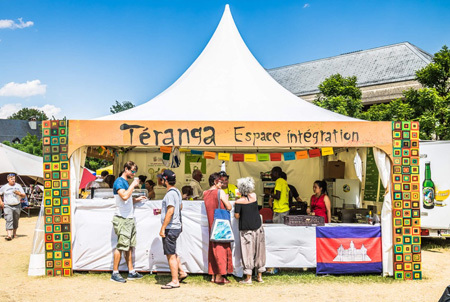 As part of the Festival of 5 Continents, the Teranga space highlights the participation of all the foreign communities of the town, making the event a pillar of living well together in the Valais. 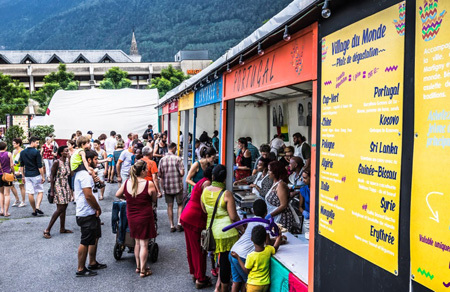 Remember that the foreign population of the city of Martigny represents 35% of the inhabitants, bringing together 110 different nationalities. 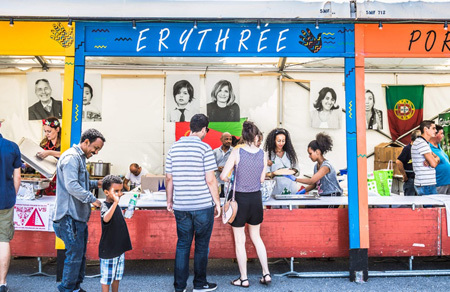 In 2018, the Teranga area highlighted the activities of the communities and associations of Martigny and the know-how of: Portugal, Italy, Kosovo, Cape Verde, Algeria, Poland, China, Sri Lanka, Eritrea, Mongolia, Guinea-Bissau, Syria. - dances of the cultures around the world.